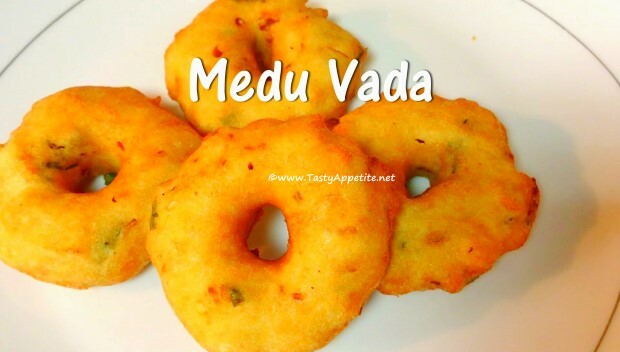 Medu Vada is one of the traditional healthy food of South India, quite popular for its crispy deliciousness. Its one of everyone's favorite snack and most of us consider breakfast not fullfilling without medu vada along with pongal, idli, dosa, etc. It tastes irresistable with soft interior and crispy exterior texture. It isn't hard to prepare this healthy delicacy at home. Here is the easy video recipe, enjoy!! Wash and soak urad dal in 3 cups of water for 1 hour.